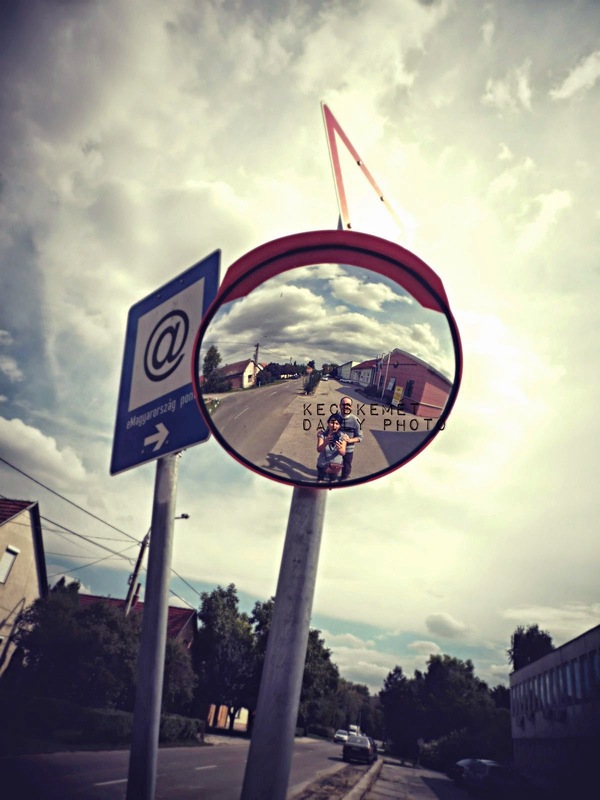 Kecskemét in photos, Hungary: CDP Theme Day - "My camera shy self-portrait"
CDP Theme Day - "My camera shy self-portrait"
"The camera adds 10-pounds!" that's my excuse for not many self-portraits. I am in denial I know..haha. Despite this camera shyness, I do tend to like to take photo of me/us through reflective surfaces. Haha! I hear you about the 10 pounds Kris :) that's my excuse also! Super reflection for the theme. Fun shot! You've taken about as big a self-portrait as I like to take of myself...only I'm sure my camera has added at least 30 pounds! Thank you guys for your visit!